Red Tea Detox is naturopath Liz Swann Miller's latest creation. She is most known for her “Red Smoothie Detox Factor” program from a few years ago, and this time she has some new twists to her body detox regimen. The following is a summary of Liz's “Red Tea” guide, plus our opinion on it. We obtained a copy of Red Tea Detox so this review is based on what's actually in it. You'll hopefully learn all you need to know. Quick Summary: It's a challenging detox diet that will require some self discipline if you want the results promised. The red tea is a fun twist, so it might be worth checking out for that part alone. If you want to skip the rest of this review, visit the website for Red Tea Detox here. Red Tea Detox: What's This All About? The claim is that this by following this diet including the red tea, you stand to lose weight quickly. Liz Swann Miller herself says she lost “14 pounds in 14 days” and went on to lose 41 pounds in total. The other testimonials say similar things. Someone else lost 14 pounds in 14 days, another person lost 17, and so on. If you've seen the presentation video you know there's a whole story around Liz “discovering” the red tea recipe in Africa. Obviously there's some dramatic effect. But you still get the basic idea: it's a detox diet that uses a special tea recipe to help accelerate fat loss. You'll be preparing meals of your choice based on a list of acceptable foods. The list changes during different phases of the detox. She also recommends an optional exercise routine that takes about 20-30 minutes/day. 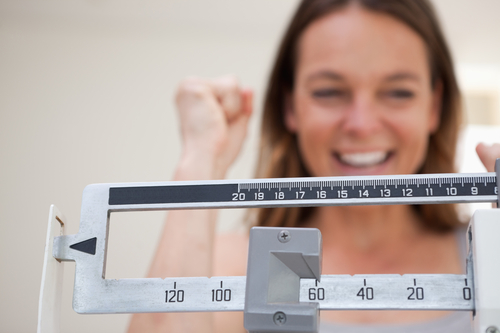 It's not a requirement for losing weight, but it's an option if you're an exercise fanatic. It goes pretty deep into the theory behind detox diets. I enjoyed that part but it might not interest everyone. It also gets into fitness motivation and practical tips for meeting your goals. Probably worth a read. That's the program in a nutshell. I'll get into the specifics later but that is the general idea. It's not anything extreme, but some parts look difficult. It is actually more of a mainstream diet with the added red tea detox drink as an added twist. 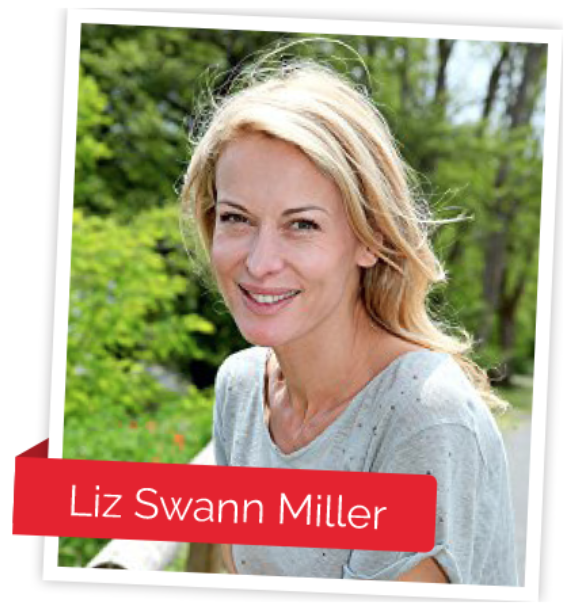 Liz Swann Miller is the naturopath behind Red Tea Detox. She has published several books and courses before and says she also works with clients in private coaching. There's a bit more about her in her Amazon author bio but I couldn't find much more information about her on the web. It's possible that Liz Swann Miller is a pen name, which is fairly common. That doesn't really matter to me but I know some reviews have been critical. My review is going to focus more on the product itself and not the person behind it or the marketing. There are also a few bonus ebooks included. One of the ebooks – ‘100 Great-Tasting Green Smoothie Recipes' – looks a lot like one of the books she sells on Amazon (for about $10, to give you an idea). The other bonus ebooks are fairly short, and I'd say they're similar to the types of health books you can buy on the Kindle store for 99 cents. 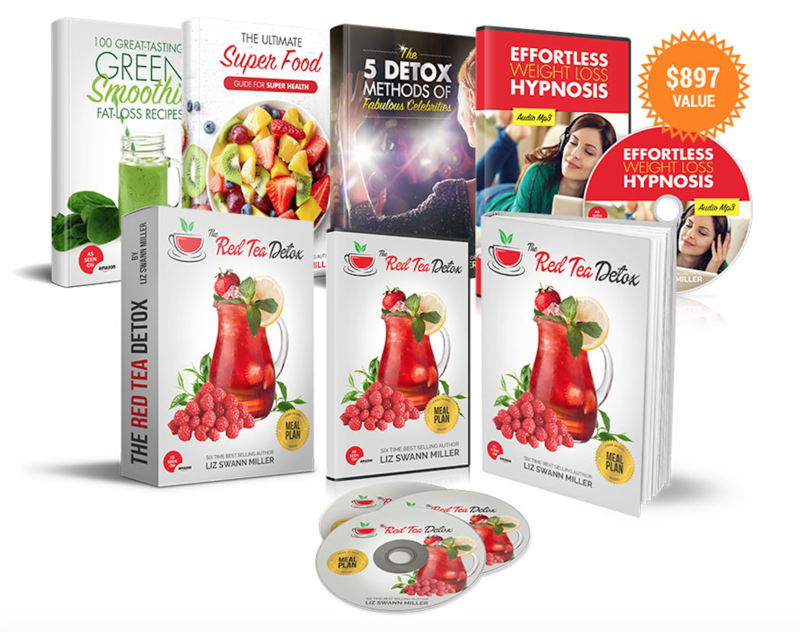 The actual Red Tea Detox program is definitely the main selling point here. This is a diet program that's meant to both detoxify and help you lose weight. There is a difference between detoxification and weight loss. But according to Liz Swann Miller they are related. You probably already know what detoxification is. Basically you only eat certain foods (usually fruits, vegetables and liquids) for a period of time. The idea is to get rid of “toxic” elements in your body – things like pollution, bad ingredients from junk food, and even the byproducts from stress (called ‘free radicals'). Detox cleansing is especially popular with natural health practitioners. Now here's where I should mention that some of the science behind detox diets is a bit unproven. The problem is that some of the claims about detoxing are hard to study. So the mainstream medical community stays away from studying things like this. Our opinion? Detox diets are legitimate. As long as you aren't starving yourself or depriving yourself of nutrients. I mentioned earlier that detoxifying is related to weight loss, even though they aren't the same. This is something Liz talks about in this program. Supposedly by wiping out the toxins you've built up, your metabolism and overall body will run smoother. I think this actually makes sense, too. The garbage ingredients in junk food absolutely affect our organs and makes our bodies run slower. There is a whole section in the main ebook on toxins: what they are, how we get them, what they do to us. I found it quite interesting. It begins with an optional three-day tea cleanse period. After that you start on Phase 1, which lasts five days. The focus of Phase 1 is detoxifying and cleansing your gut. Liz claims that this five day period will cause rapid weight loss (she says 5-10 pounds is normal). Phase 2 is essentially a fast and is the most restrictive phase. But it is also the shortest phase. Finally you end with Phase 3 which focuses on healing your liver, which takes the brunt of the damage when we ingest toxins. Some of what Liz says about this phase seems counterintuitive but she does cite research to back her up. Low carbs is the name of the game for Red Tea Detox. You'll be getting them down to around 30 grams a day. On the other hand, high-fat foods are okay for one phase of the diet. In fact, she encourages them. Saturated fats have been shown to be especially good for women's health. And eating foods with a high fat content – as long as they're the right foods – will not cause weight gain. You also drink the red tea. A lot of it. Six glasses a day. After you get through the 14 days, you can just repeat the cycle if there's still more weight you want to lose. This was hands down the most interesting part of this program. I can't give away the exact recipe, but it had some ingredients I didn't expect. They are all items you should be able to find at the health food store. Preparing the tea looks easy enough. It takes about 30 minutes to get the tea made. You'll be drinking 6 cups of the tea each day of the detox. The recipe is for 6 cups but she says you can double or triple it if you want to save time. You can also incorporate the red tea ingredients into other things like smoothies or lattes. What are the ingredients in red tea detox? The actual red tea is a proprietary blend that you make at home, based around rooibos red tea. The other ingredients are a combination of natural appetite suppressant and metabolism-boosting herbs and spices that you will find at a health food store. 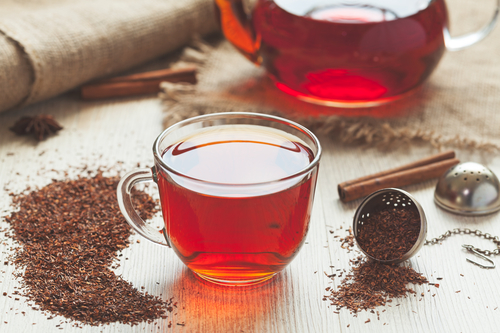 Does red tea help with weight loss? The red tea has many purposes in this diet. It's meant to promote digestion while also helping you feel less hungry. Some of the ingredients also help speed up metabolism. There is plenty more written about herbal tea for weight loss and detoxing, too. So even if the claims about Red Tea Detox are bold, there does seem to be supporting evidence. I'm giving Red Tea Detox an overall thumbs up in this review. But I need to warn you that it's going to be a challenge. I know Liz emphasizes how simple it is – and it is simple – but simple doesn't mean easy. Overhauling your diet is always difficult. Sure, it may be necessary for many of us, but it's hard to do. You might get headaches or feel cranky while your body re-calibrates. And it will be tempting to give up. You should only get Red Tea Detox if you're willing to stick with it. I believe it will work if done the way Liz recommends, but it takes commitment. Also, if you have prior medical issues, make sure to consult your doctor before trying it. Some people might be better off with a more conventional diet.